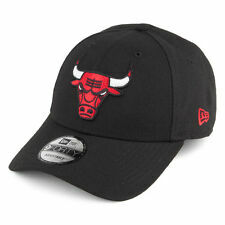 Embroidered 'Chicago Bulls' logo on front. Embroidered 'New Era' logo on side. Snapback fastening. Trucker style. Logo: StitchedDenver Nuggets logo with New Era stitched logo on side front panel. Fly your own flag with the new 2018 flat brim baseball cap from New Era. Aqua Footwear. Underside of Brim Colour: Yellow. Fly your own flag with the new 2018 curved brim baseball cap from New Era. Logo: Stitched Los Angeles Dodgers logo with New Era stitched logo on side front panel. Underside of Brim Colour: Blue. Colour: Graphite. 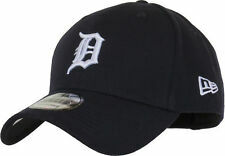 Classic New Era MLB 950 Snapback Hat. Navy Colorway Underneath Brim of Hat. Polyurethane Shiny Leather visor. Navy Snap Closure. Material: 85% Polyester / 15% Polyurethane. Authenticity Front & Side Symbol. Boston Red Sox New Era MLB Black On Black Pre-Curved 9FIFTY Snapback Hat. Condition is Pre-Owned. Sent with Australia Post Pre-Paid Parcel Post Satchel 500g. Embroidered 'Milwaukee Bucks' logo on front. Embroidered 'New Era' logo on side. Snapback fastening. Trucker style. Classic NHL Snapback Hat. Blue Colorway Underneath Brim of Hat. NHL Authenticity Sticker Under the Brim. High Profile, Custom color & Pattern hat. The designs were inspired by hip-hop, skate and graffiti subcultures. Main Colour Camo. Style Baseball Cap. Size range - 54.9cm - 61.5cm (6 7/8 - 7 3/4). Material Cotton / Polyester. Buy now for £22.95. (See below). New Era 9Forty Cleveland Indians The League Adjustable Baseball Cap.Navy Blue with the Indians front logo,the N ew Era side logo, the Indians rea r strap logo, and the Red Visor with the Black underside. New Era 9Forty NFL The League Adjustable Cap. Black with the Pittsburgh Steelers front logo,the N ew Era side logo, and the Steelers rea r strap logo. One size fits most, with an adjustable rear velcro strap. Classic New Era 950 NFL Snapback Hat. High Profile, Shiny Polished Front Logo & Visor. Material:100% polyester Cap / 100% P.U visor. Grey Colorway Underneath Brim of Hat. NFL Authenticity Sticker Under the Brim. Allover camo effect on Cap. Trucker style. LA Dodgers embroidered logo on front. Embroidered New Era logo on side. Adjustable fastener. Fly your own flag with the new 2018 flat brim baseball cap from New Era. Logo: Stitched New York Yankees logo with New Era stitched logo on side front panel. Underside of Brim Colour: Tech Navy. Aqua Footwear. Embroidered 'New York Yankees' logo on front. Embroidered 'New Era' logo on side. Trucker style with snapback fastening. Classic New Era NBA 950 Snapback Hat. High Profile, Classic NBA Solid Green Cap. NBA Authenticity Sticker Under the Brim. NBA Embroidered graphics on the back. Grey Colorway Underneath Brim of Hat. New Era Embroidered side Logo. New Era 9Forty Seattle Seahawks NFL The League Adjustable Cap. Blue with the Seahawks front logo,the N ew Era side logo, and the Seahawks rea r strap logo. One size fits most, with an adjustable rear velcro strap. New Era 9Forty Philadelphia Eagles NFL The League Adjustable Cap. Green with the Eagles front logo,the N ew Era side logo, the Eagles rea r strap logo, and the Black Visor. One size fits most, with an adjustable rear velcro strap. Great Match For The Olive Timberland 6" Premium. New Era Ch i c a g o B u lls Snapback. - Olive Green /Wheat. - Manufactured By New Era. Style Snapback. -Grey Undervisor. Color Olive Green/Wheat. - Three options. Embroidered 'LA Dodgers' logo on front. Embroidered 'New Era' logo on side. Snapback fastening. Trucker style.